Mrs. Edna Mildred Strom, age 83, of Douglas, GA, passed away on Sunday, January 20, 2019 in Douglas, Georgia. 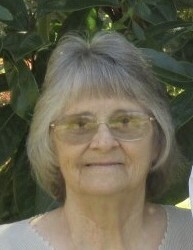 Mrs. Strom was born on September 2, 1935 in McRae, Georgia, daughter to the late Lester and Ruth Best McLeod. She was a homemaker and a member of Broxton Church of God, Broxton, GA.
She was preceded in death by her husband, Rudolph Strom, daughter, Mary Ann Strom, brother, Clois McLeod and sister, Hazel McLeod Brown. She is survived by two daughters, Wanda Ruth Moore of Douglas, GA and Carrie Jane Strom of Douglas, GA; two sons, Louie Strom and wife Janet Strom of Broxton, GA, and Rodney Strom of Douglas, GA; two sisters, Shirley Leggett (Ronald) of Alma, GA and Zelda Seabolt (L.S.) of Helena, GA; six grandchildren, Carrie Ann Jewell, Amber Moralez, Haley Wooten, Holly Wicker, Anna Kinnard, and Casey Strom, sixteen great grandchildren, several nieces and nephews. The funeral service will be at 2:00 P.M. Wednesday January 23, 2018, at Broxton Church of God with Rev. Stanley Steverson and Rev. Cliff Kirkland officiating. The interment will be at the Broxton Church of God Cemetery. The family will receive friends from 6:00 P.M. until 9:00 P.M. Tuesday at Sims Funeral Home. Mrs. Strom will lay in state from 1:00 P.M. until 2:00 P.M. Wednesday at the Broxton Church of God. Special songs will be “I Want to Stroll over Heaven” and What A Day That Will Be” performed by David Smith, soloist accompanied by Don Harrell and Mama”s Prayer sung by Jacob Kight and Haley Wooten.